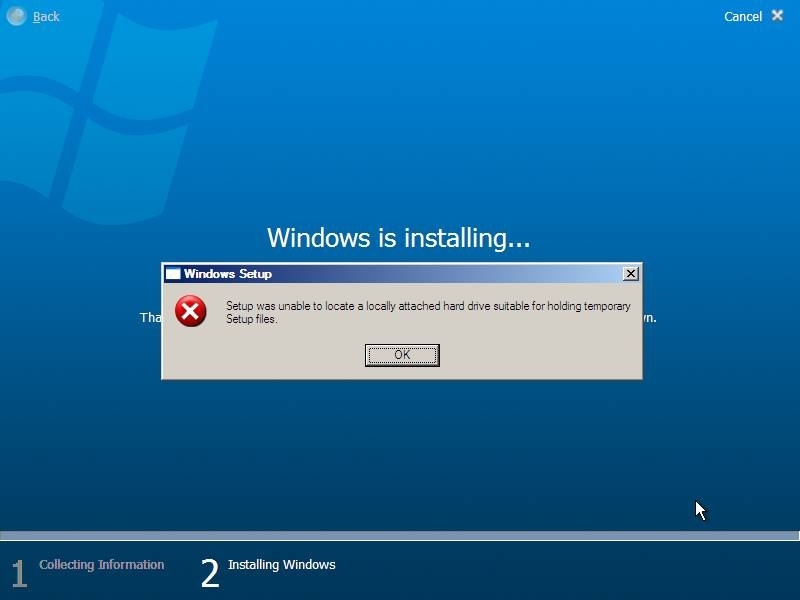 Ok, i tried to install it in vmware, it gives me this. I tried SCSI drive, IDE drive, partitioned it,etc. Did you also format the drive? If the harddrive isn't formatted then the setup cant copy files to the harddisk. I did all that, and it still gives me this. Then can it be that the iso is corrupt. It is unlikly that the HD is corrupt because its a file. This error can appear if size of hard drive is les that required. Check, what is the size of virtual hard drive. djrob's instructions were a bit flawed. reboot, press esc at the bios screen select boot from cd-rom and install like normal.